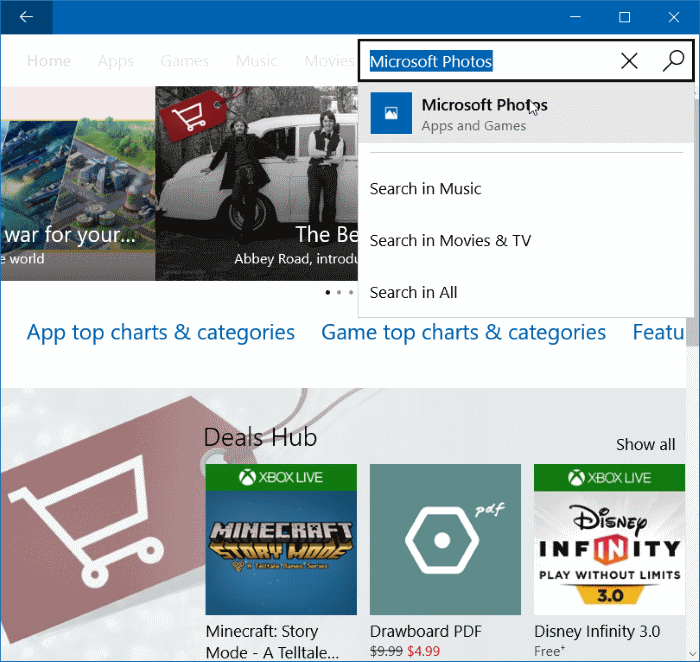 Microsoft replaced its classic Windows Photo Viewer with the Photos app in the Windows 10. The new Photos app comes with a lot new features that the classic photo viewer lacked. These features include basic image editing capabilities like cropping, color/brightness/contrast adjustment, image rotation and more. Although the features are nothing to write home about, they’re still good to have. 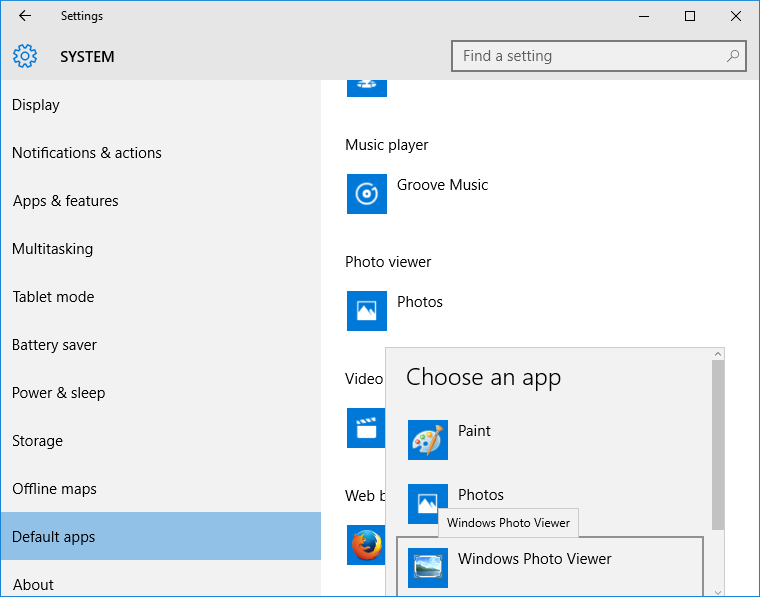 The Photos app is set as the default image viewer in Windows 10. 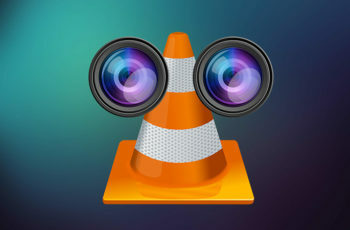 Although there’s a way to change it back to the good old Windows Photo Viewer, users who aren’t aware of this would be stuck with the Photos app. The photos app has a known issue of opening very slowly. In some cases, the app can take up to 10 seconds to open, which is annoying without any doubt. 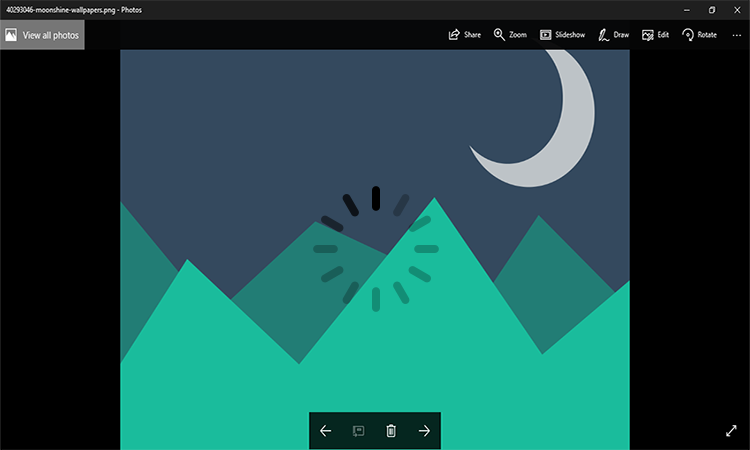 The slow loading issue of Photos app seems to be very common and most Windows 10 users are looking for ways to fix this slow opening Photos app bug on Windows 10. If you are also annoyed by the Photos app loading slowly on Windows 10, the below solutions are sure to fix the issue for good. Resetting the Photos app can fix the slow opening issue for most users. 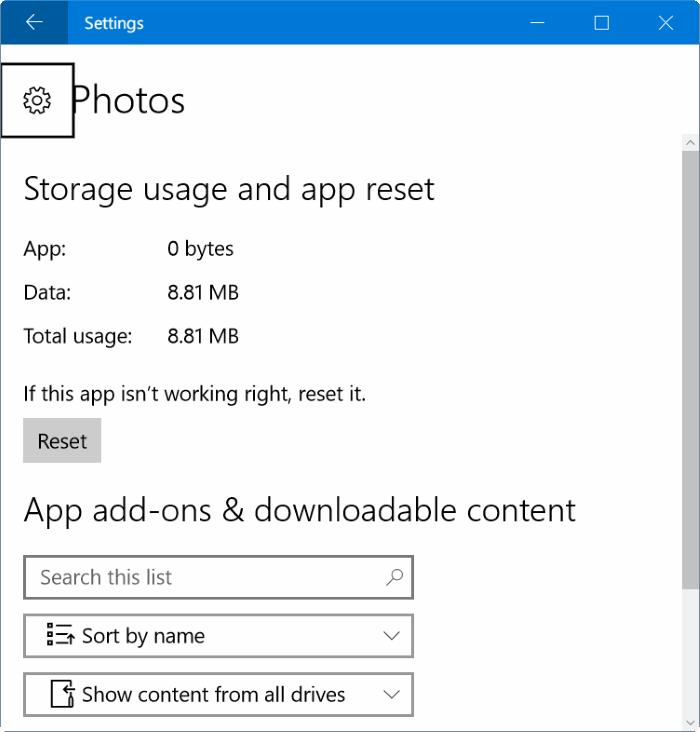 Here is how to reset the Photos app. Step 1: Open the Settings. 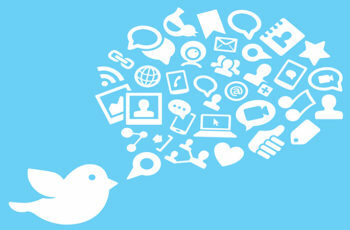 Go to Apps > Apps & features. 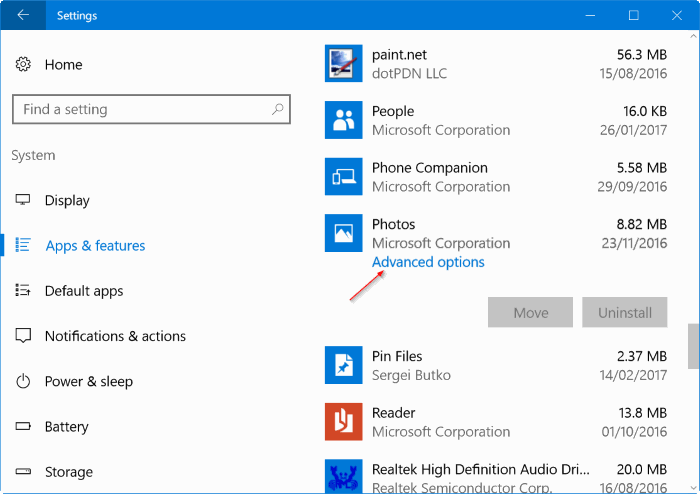 If you cannot find the Apps category in Settings (happens if you’re on an older build version of Windows 10), you can try navigating to System > Apps & features. Step 2: Now find the Photos app from the list. Click on the Photos app and you will see the Advanced options link. Click on it to open Storage usage and app reset page. Step 3: Just click on the Reset button and confirm the reset when prompted by the system. Now go ahead and try opening an image file and it should open the picture in an instant. If the resetting method didn’t work for you, you can reinstall the Photos app to fix the problem. You cannot uninstall the Photos app through the regular method as it’s a system app. To uninstall the Photos app, you can use a popular tool called CCleaner (free) and then reinstall the Photos app from the windows store. Step 1: Download and install CCleaner app on your Windows 10 computer, if you don’t have it installed already. 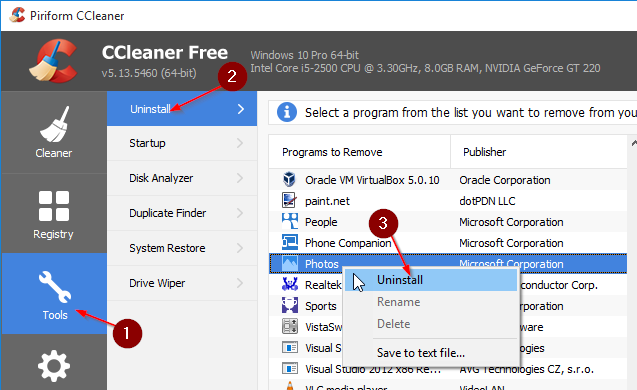 Step 2: Open CCleaner, go to Tools, and click on Uninstall to view all the apps installed on your PC. Step 3: Locate the Photos app, right-click on it, and select the Uninstall button to remove it. Click OK when prompted for confirmation. Step 4: Once you’ve uninstalled the Photos app, it’s time to reinstall it. To do this, go to the Windows Store app and type Microsoft Photos in the search box. From the search results, click on the Photos app and then click on the Free button to install it again. Your Photos app should open faster now. If the Photos app is still opening slowly after trying resetting and reinstalling it, it’s time to switch back to the good old classic Photo Viewer. Here’s how. Step 1: Open Settings (Windows key + I) and click System and then click default apps on the left pane to view all default apps on your Windows PC. Step 3: Scroll down until you see the Photo Viewer section. 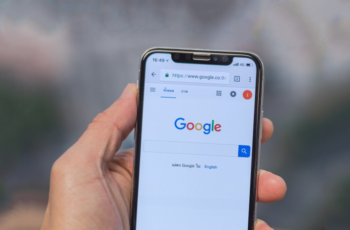 Now click on the Photos app to display the other available options for viewing images and click on Windows Photo Viewer to set it as your default image viewer. Voila, you’ve set the trusty old Windows Photo Viewer as the default image photo viewer on your windows 10 PC. There are so many feature-packed photo viewers out there for your Windows 10 PC and you can check them out too. Hope this fixed your slow opening issue with the windows 10 Photos app. A nice and helpful guide! I was wondering if I should change from Window 8 to 10, but my golf friend warned me of the problem of opening the photos app super slowly since he is using Window 10 now. I will share with him this article and may get to update my window. Thank you so much for sharing this information!